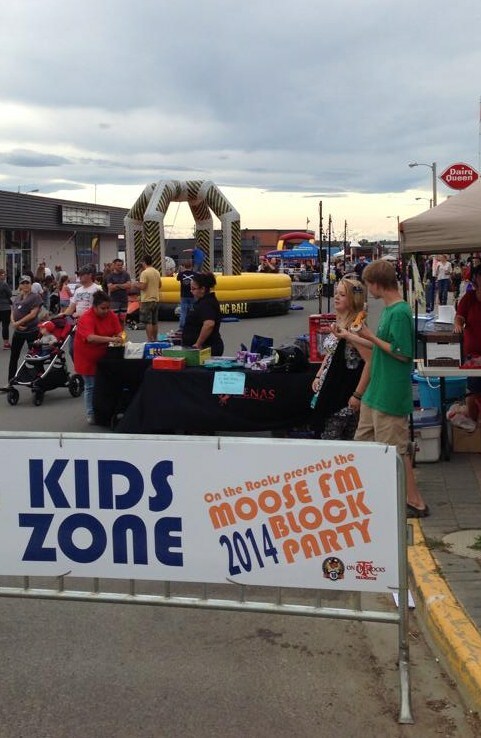 The 2nd annual Moose FM Block Party took place September 6th, in Down-town Fort Saint John, B.C. This year’s event boasted to be bigger and better than the last years event, with the heart of town closed down and more entertainment and venues to see. 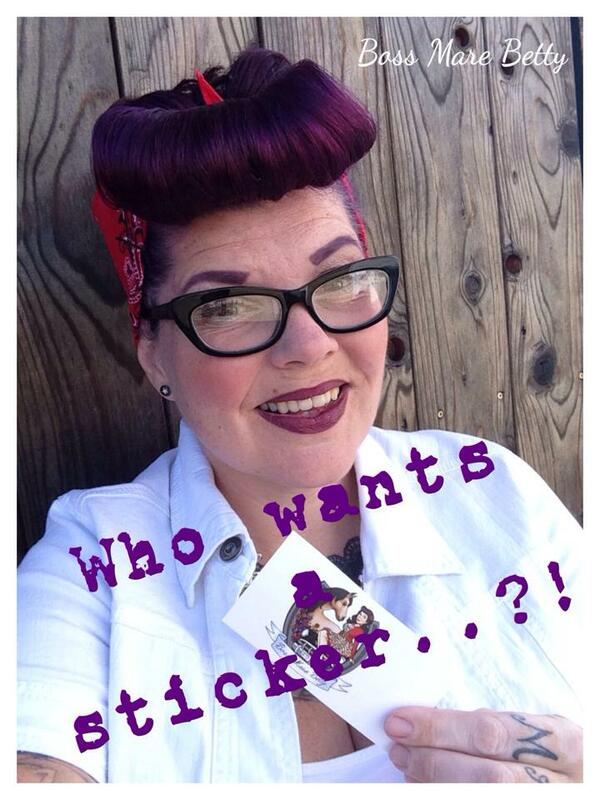 Armed with a NEW batch of stickers, this gave me opportunity to get into town and join the festivities. I wanted to see what was going on as you never know who you will bump into and yet anyone you do is a welcome face. Upon arrival to the Block party it was apparent there was more stuff to see and experience. From food booths to hand-made wares for purchase , entertainment for children, bouncy castles to petting zoo area, first responders and their vehicles to street performers this was the event of the season. 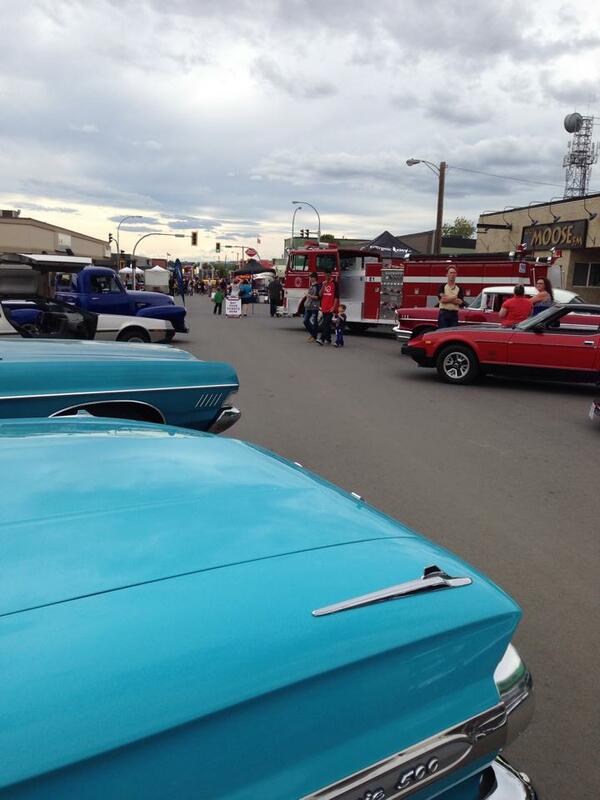 Yet what drew my attention to this years event was the Show n’ Shine put on by the FSJ cruisers. On one of the designated streets there were cool rides set up to be seen. Walking towards the Classic cars there she was. 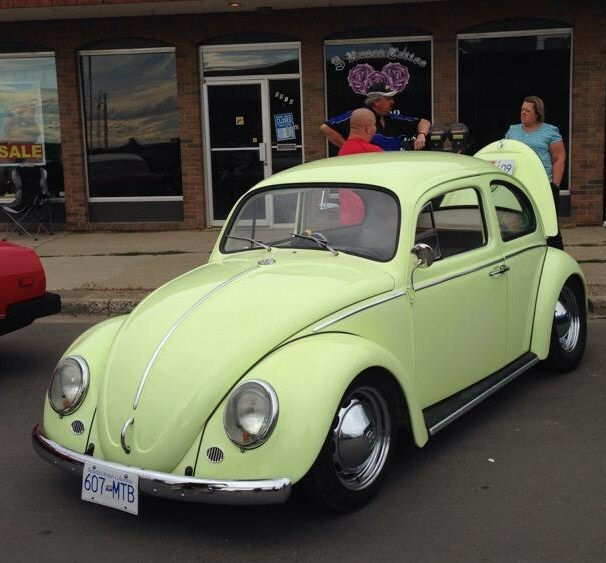 With my families affinity to VW’s you bet the one and only in attendance was what absorbed my focus. 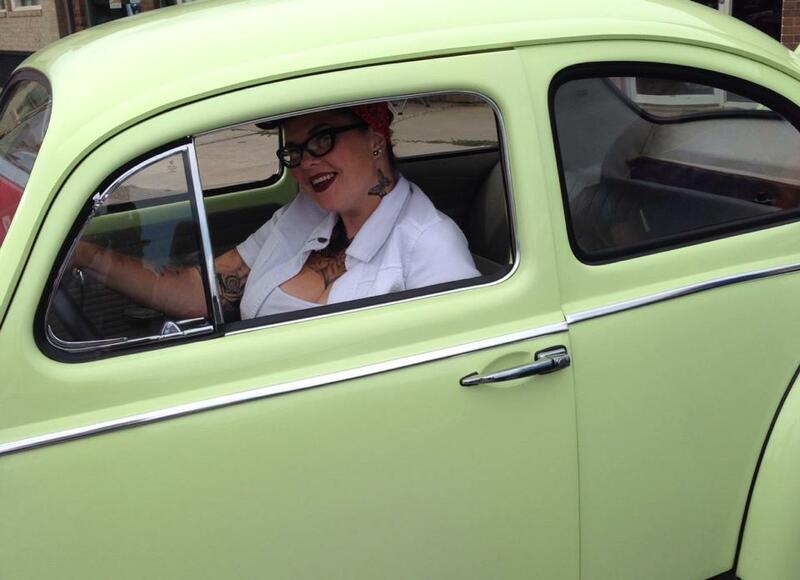 Like a gem there she shone in her custom lemon meringue looking yellow paint, so lovely and so herself. 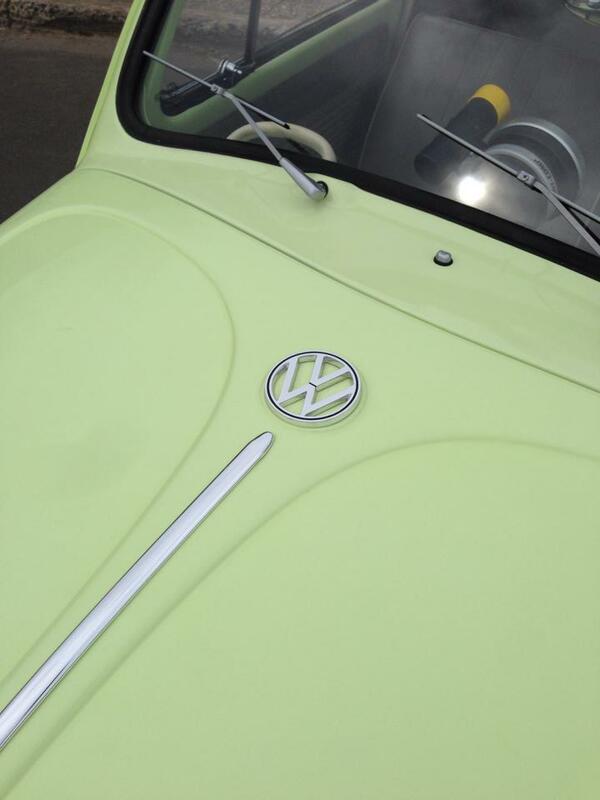 Nothing beats the shapes and curves of a VW. As I walked around her I was aware that she was not like most and had a hidden ability of super speed. 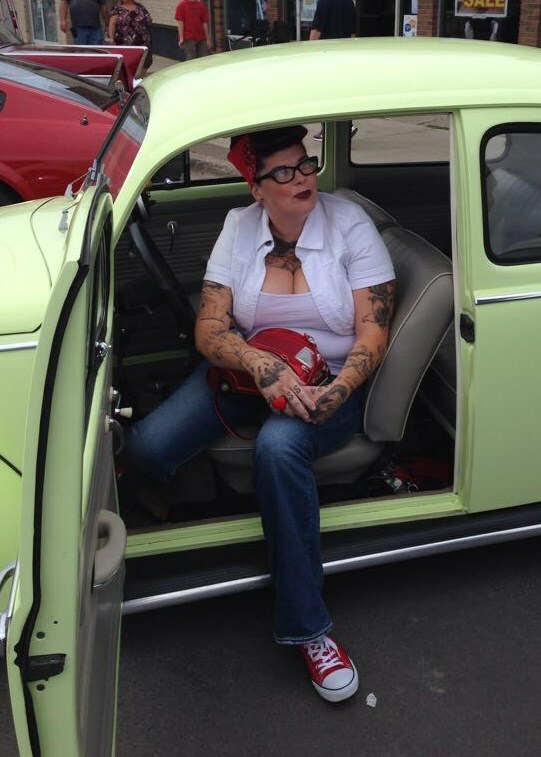 Her owner, Mike Steck, is the President of the local VW club the ‘Dirty Dub’ers’. 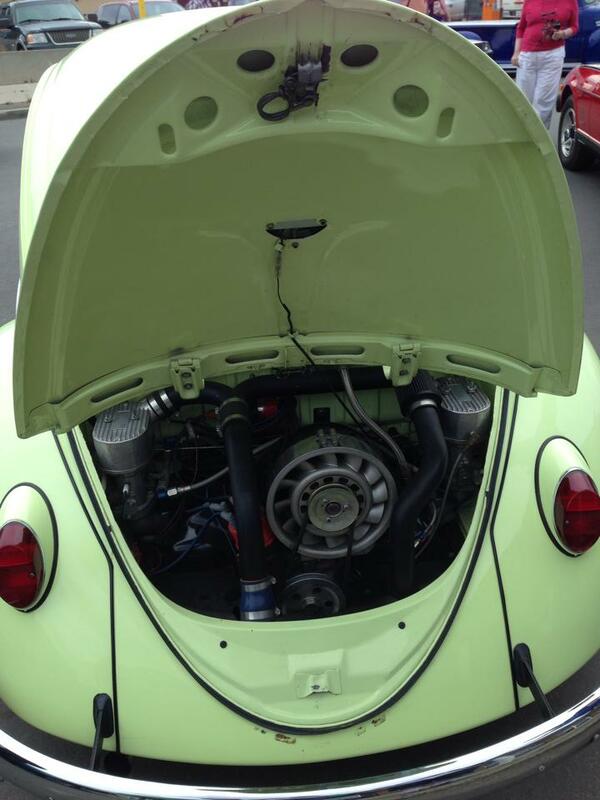 He had just purchased this 1962 bug in the early Spring. With further inspection from behind, I learn that this beauty boasts a 1914cc turbo EFI with Nitrous engine. This not so little girl made 325 rwhp on the Dyno in Texas at 20 psi..! Obviously a high performance vehicle, she has a lot of get up and go to offer, the fact is she is not to be driven by the faint of heart. I was thrilled for the opportunity when Mike offered me to sit in his super cool ride..! This really inspired me to want to get Betsy into the show for the next Block Party. 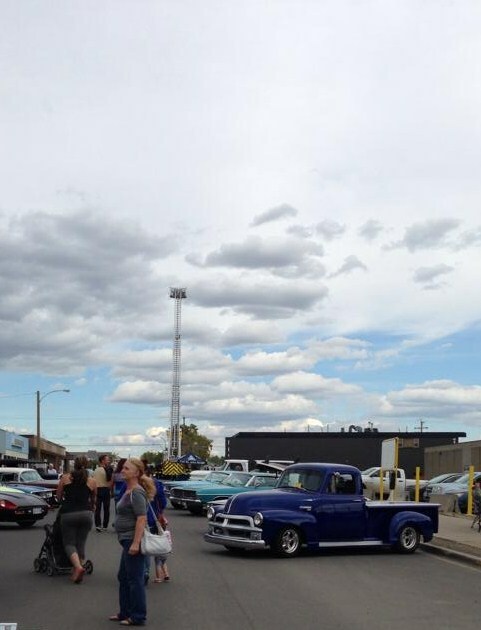 After our time at the Show n’ Shine it was good to see some friendly faces, new and familiar as well as handing out stickers which I love to do and interact with people. 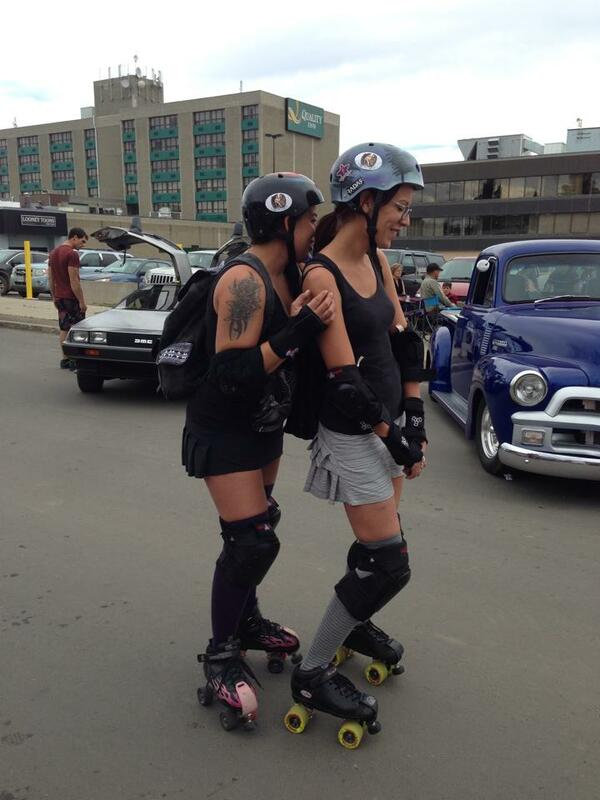 FSJ Killbillies Roller Derby Girls..!! For sure plan to make this event one that you will attend regularly the more support for an event the better its chances for growth and sustainability, this is such an asset to the community..! Thank you Moose FM and all your sponsors and of course Mike for making my day! 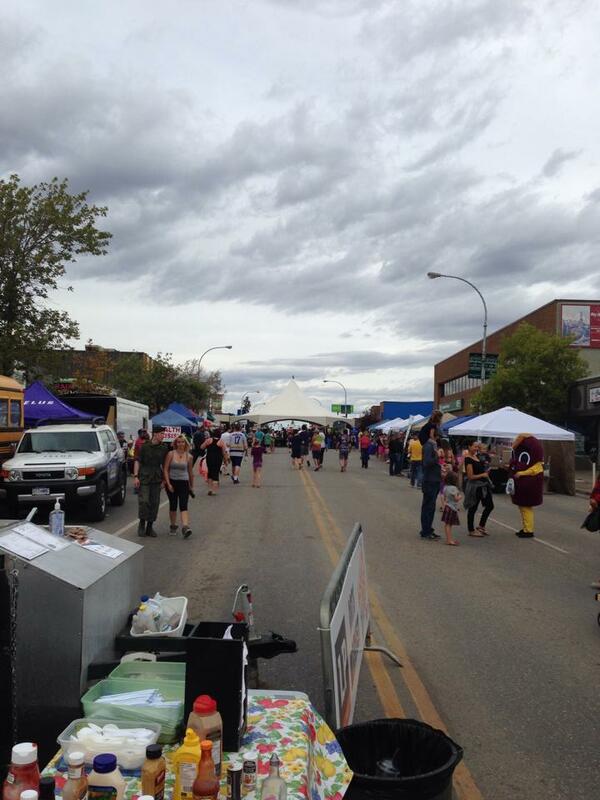 5th Annual FSJ Zombie Walk..